We work along side Carrington George to claim back PPI on your behalf to introduce into your arrangement. It is now common knowledge that historically banks and other lenders have inappropriately sold certain types of financial products, and in some instances applied unfair levels of charges to their customers. You may be aware that the Financial Conduct Authority (FCA) has recently stated its intention to set a deadline by which consumers would need to make their Payment Protection Insurance (PPI) complaint or else lose their right to have them assessed by lenders or by the Financial Ombudsman Service. It is your supervisors duty, to investigate whether any such financial claims can be introduced into your IVA and ensure that they challenge creditor claims where they can. As a result we have carried out a review of your file and it would appear that one or more claims may be available for the benefit of your IVA. You need to act now before it’s too late. 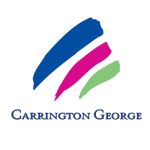 To carry out this work, Carrington George have appointed Crystal Financial Claims Ltd to act as Their agent as we specialise in recovering mis-sold PPI in IVA and bankruptcy cases. We will need to confirm some basic details with you but will then complete the process on your behalf. There is no charge to you; We are paid only from successful recoveries that are made from lenders. They will charge 20% plus VAT of any recovery they make from the lender on your behalf with the balance being paid into your IVA. If you would like Crystal Financial Claims to undertake this work on your behalf, please complete the Claims Pack and return it in the pre-paid envelope. Crystal Financial Claims will contact the lender to obtain documentation on your behalf. Occasionally, the lender will incorrectly set up the request as a complaint and contact you direct. If this happens, please return any documentation received with the Crystal Financial Claims pack and do not respond to the bank direct. When you return this pack we will then send all the accounts off to be checked for PPI. When we receive confirmation of PPI on your accounts we will contact you again to discus some further details about how the PPI was sold to you, so we can build a complaint against the lender. There is no charge to you; We are paid only from successful recoveries that are made from lenders. We will charge 20% plus VAT of any recovery We make from the lender on your behalf with the balance being paid into your IVA. We don’t need any paperwork from you, as we are working along side your IVA they have provided all the information we need.